Looking at the background of photo 2 makes me think that this is another art piece and not an actual product. 1) They burst into floods of tears because “they killed HK”. 2) They try and do this for real! Tough luck for the kids. BTW let them practice on a stuffed HK instead of a real one. I LOVE THIS PRODUCT. Keep them coming, HKH! Buy one for your wife. Blade extends into a tang that runs the full length of the handle. Hand grips are formed from 2 pieces of wood or moulded plastic rivetted to the sides of the tang. If you can’t see the end of the tang at the end of the handle that goes towards you it’s not a good knife (I dislike ceramic ones because they can shatter if stressed the wrong way). This is not a complete statement of what makes a good knife because we’d need to consider things like steels, and detail handle shape is personal taste. Thanks for the info! I actually own a really good set of kitchen knives but thought it would be pretty cool if I had a set that had HK tastefully emblazoned on them somehow. 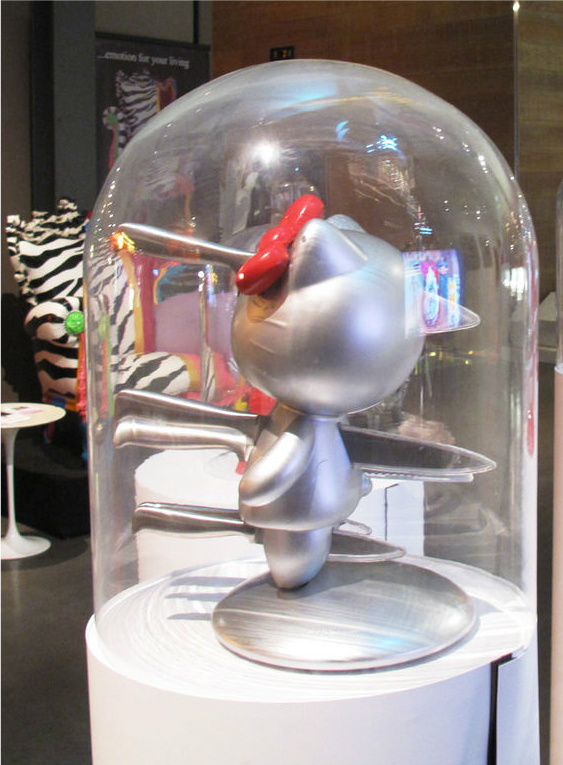 The funny thing is, I know it’s only a thought because most HK items are far from tasteful and sadly, Sanrio rarely makes anything of really high quality anyway. Well, it’s partly that, after Hannibal Lector, the most dangerous thing I know of that you can have in your kitchen is a set of cheap, blunt knives. Wow. I wish this really existed. My husband & I are shopping for housewares to outfit our kitchen with and we could use a good set of knives. Knives that I can thrust out of The Demon Cats plump, adorable little body excite me to no end. 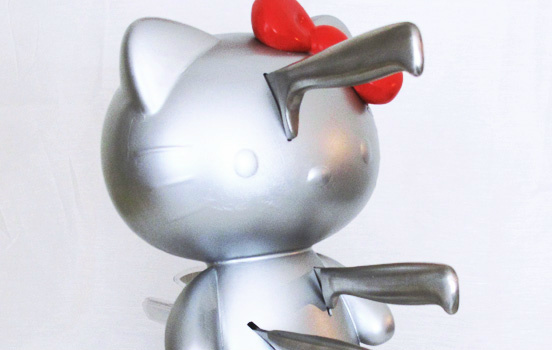 Hello Kitty is evil, and the idea of stabbing her brings me great joy. I honestly think that that would be the solution to all of my stress issues. 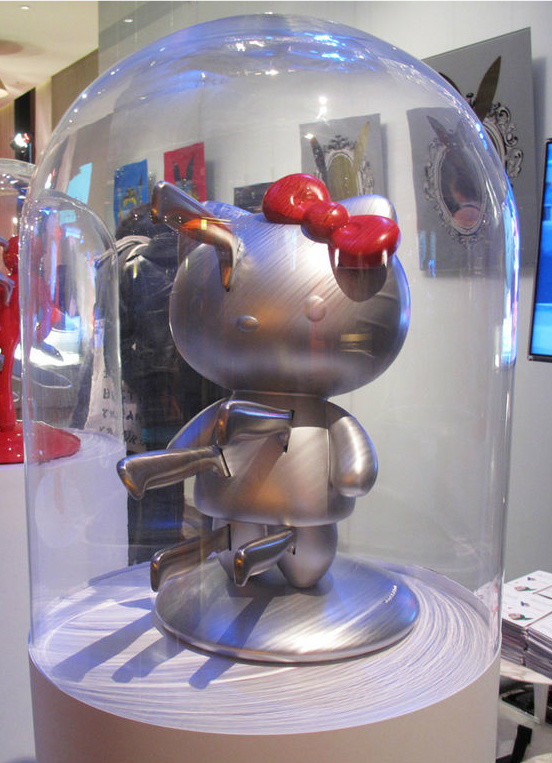 When you get to stab the guts out of Hello Kitty what’s not to like??? This hello kitty’s product is special , I think some people do not like it because it hurt hello kitty. They can not endure it. No. It’s a knife holder. I hate it. A doll which scream if stabbed would be better. I am not pleased with that discription!! I don’t like you!!! Why do you like to hate on what other people like? Did you just save a lot of people? You just wasted your life,jerk!! !